Finally found the motivation to post...I wish I could find the inspiration to do it earlier on in the day but for some reason I seem to be able to write much better during the night...oh well. 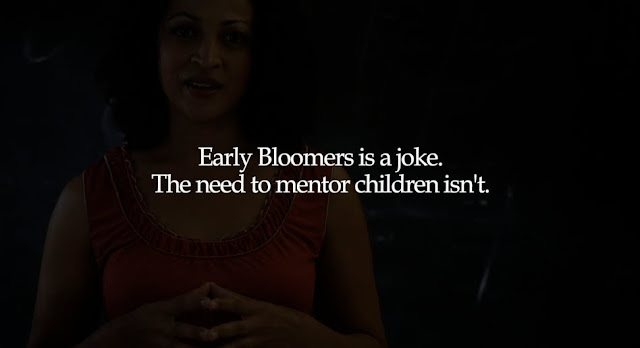 Here is an Ad called Early Bloomers, and its tag line is "Kids don't need a role model, they need an early bloomer." After watching the video the first time I really did not understand what was going on. I couldn't tell if the person who sent this to me was trying to play a joke on me, or just wanted me to sit through one of the most annoying videos I have ever seen. 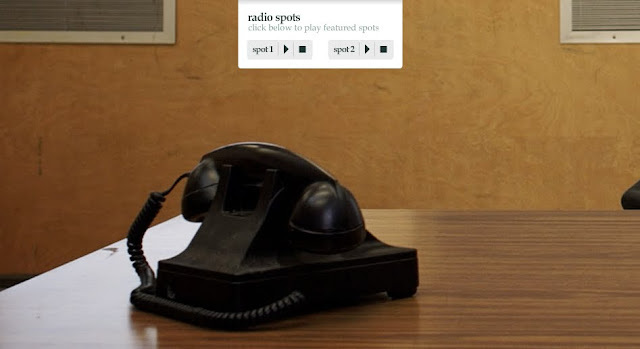 Finally got to the end of the video and noticed it asks the viewer to go check out earlybloomers.ca. Obviously curious to see what on earth that Ad was talking about I visited the site and not only was I presented with another attempt to be funny I had to listen to some guy sharpening his pencil. So...clearly at this point I knew whatever was trying to be brought across failed miserably. So this got me curious, and I wanted to see who was behind this campaign. So...thinking if you went to "contact us" it would finally just get to the point but unfortunately I was wrong and had to listen to the same guy sharpening his pencil but on a voicemail. By this point I'm just about ready to close the browser when somehow it switched websites and said everything was a joke and here is the real campaign. Thanks for wasting my time that I really don't care what this program is about anymore. Hopefully by people reading this post, they can just jump all the crap that leads to it and just go to the main site which is found here. Save yourself the time, believe me. The funny thing is the first time I checked out the website it didn't automatically switch to that screen shot I just showed above, but rather I had to find it myself. I don't know if this is because other people found it so unbelievably annoying or they just forgot to include it. Now the funny thing is I still down know whether or not this is serious haha. All it does is take me to a website that really doesn't provide me with much, and it also includes three testimonials. I think they could have gone with a different approach to this entire campaign...now if you give me some time I might be able to think of something but I can't think of what that could be now. Either way I would have rather just wanted it to get to the point quicker. Now...if the point of the campaign was to create buzz, it certainly did that. My criticism might be a little harsh but the purpose of this site is to provide you with our honest opinion and obviously everyone might not agree with it but we welcome everyones views and would love to hear peoples reactions to the Ad and their experience with the site. If anyone knows anything about it please leave your comments below!! I agree, often times the critical information is hunkered down below unnecessary fat that clutters consumers' mindset. Why? Not sure, and this organization doesn't seem to have the relevancy necessary to play with potential engagements by confusing their target audience. I didn't even bother experimenting with this you made it sound so annoying. I'd like to hear feedback about this campaign.